a droplet blood gem that fortifies any weapon. You can pick this brooch up from the corpse of a woman in the Tomb of Oedon, just after defeating Father Gascoigne. The woman's resting place is no mere coincidence; though the actual circumstances of her death remain a mystery. 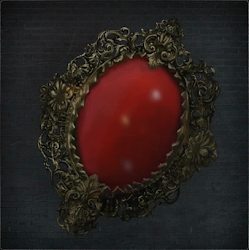 You can either use this item to obtain the Red Blood Gem, or give it to the Young Girl in Central Yharnam to confirm her mother's death and further her quest. 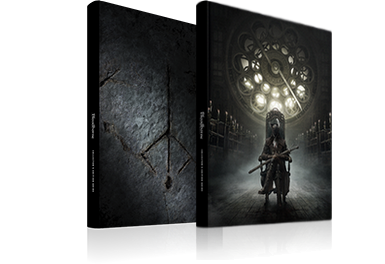 Treasure in (Main Story): Central Yharnam [x1], on the small rooftop in Tomb of Oedon [Father Gascoigne boss area], corpse of Viola. For more information about Viola's corpse visit the Identified & Unidentified Corpses wiki page. Interesting fact which came up during Datamining, is that the Red Jeweled Brooch icon is stored with all the Cainhurst icons. It is possible this item started as Cainhurst related earlier in the development.